I did something terrible, Grace. I hope you can forgive me. Grace hasn’t been the same since the death of her best friend, Charlie. She is haunted by Charlie’s words the last time she saw her and, in a bid for answers, opens an old memory box of Charlie’s. It soon becomes clear there was a lot she didn’t know about her best friend. When Grace starts a campaign to find Charlie’s father, Anna, a girl claiming to be Charlie’s sister, steps forward. For Grace, finding Anna is like finding a new family, and soon Anna has made herself very comfortable in Grace and her boyfriend Dan’s home. But something isn’t right. Things disappear, Dan’s acting strangely, and Grace is sure that someone is following her. Is it all in Grace’s mind? 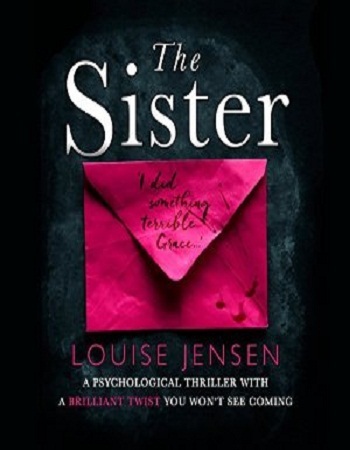 Or as she gets closer to discovering the truth about both Charlie and Anna, is Grace in terrible danger? There was nothing she could have done to save Charlie. Or was there? “Enjoyed this book. Well written and kept my interest.